This comedy sketch video was shared with us a while ago by Alice Moran (who plays Sailor Moon in the video). It’s a tongue-in-cheek look at Sailor Moon versus a random villain (played by Jon Blair) who questions the usefulness of Tuxedo Mask (played by Kyle Dooley). 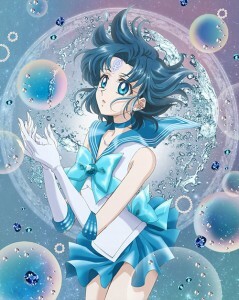 Have your own Sailor Moon related fan creation that you’d like to share with us? Send us an email! Since my last post about Theodore Jefferson’s upcoming book about Sailor Moon, I was able to reach him via email to get a few more details. We’re also planning an interview after his campaign closes, so any questions you still have about The Incredible Untold Story of Sailor Moon can be sent in and we will include them in our interview! My thesis is that were it not for Sailor Moon, the entertainment market of the last 25 years would have been very different. I plan to interview many of the people involved in the show’s production, including Andy Heyward and Naoko Takeuchi (if possible). My book highlights DIC’s enormous risk in bringing Sailor Moon to the U.S. and how it paid off. I want to trace the timeline of the show from the early 90s and the Golden Age through the early 2000s (silver age) up to the present day. My book is the story of how Sailor Moon influenced animation, games and comics, and what the show meant to American culture and how American fans influenced the Japanese version. In short, Theodore’s book will focus more on Sailor Moon‘s influence on modern pop-culture and the entertainment industry, whereas Roland’s books focuses on how the voice cast and dubbing staff brought life to the characters as well as how the English dub was produced. There are definitely aspects in both books that will appeal to fans, so we recommend checking them out to see if they are of interest to you. Theodore also sent me the link for his original Reddit thread, where he has added a draft of the first chapter. Canadian fans may also be interested to hear that there will be inclusion of some details about the history of the original syndication deal with YTV. If you are interested in contributing to the crowdfunding campaign, you can do so at Theodore’s official fundraising campaign page.When there are 100 funders (only one more to reach that goal! ), everyone gets a bonus perk and if $4000 is raised, there will be an audiobook version. The campaign is currently sitting at $3596. You can contribute as little as $5 to get your name included in the book as a thank you for your contribution. 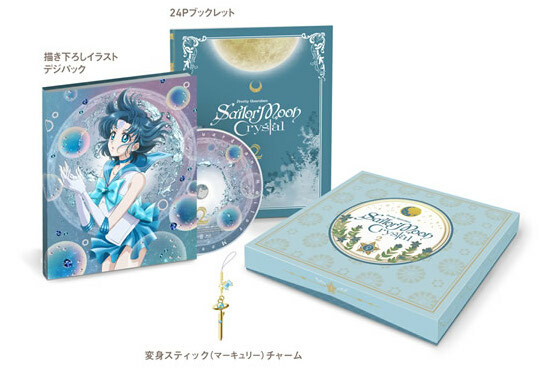 The regular Blu-Ray and DVD will be released in Japan on December 10, 2014 as shown on the merchandise website Sailor Moon Collectibles as well as on CD Japan. It will retail for ¥4860 for the Blu-Ray and ¥3780 for the DVD . The Incredible Untold Story of Sailor Moon will be the definitive history of the world-famous television series and manga in the United States. The book is being written by author Theodore Jefferson, a professional journalist and former marketing consultant for DIC Entertainment. A crowdfunding campaign for e-book and print versions reached its goal in 12 days. It is now well on its way to funding an audiobook version. Mr. Jefferson will bring together numerous sources, including interviews with animation industry colleagues, national correspondents, key entertainment executives and bestselling authors to paint a picture of Sailor Moon that will astonish even long-time fans of the show. Everyone who reads The Incredible Untold Story of Sailor Moon, including Sailor Moon’s creators, will learn things about the characters they never knew before. 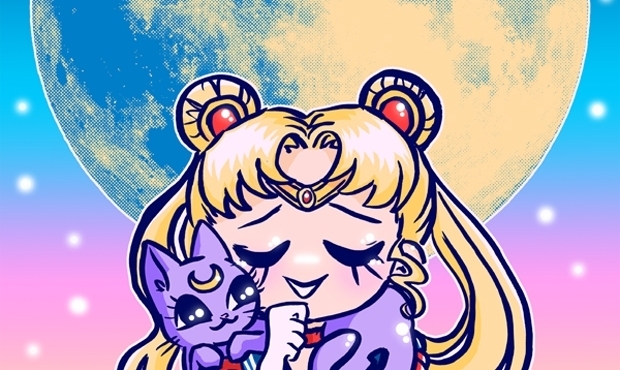 Sailor Moon changed the world. This book will explain how and why. You can also follow updates about this book via editor Larissa Kayne’s Twitter account and the @sailrmoonuntold Twitter feed. Fans interested in this book, which will be more industry focused (and primarily US centric based on the descriptions), may also be interested in Roland Parliament’s recently published Sailor Moon Reflections which is more focused on the acting, directing, and recording aspects of the first 65 dubbed episodes of Sailor Moon. Links for purchasing Roland’s book on Amazon are in the sidebar to the right. We will be keeping an eye on this one and let you know more details as they come in about how this book can give you a more in-depth view of Sailor Moon‘s beginnings in the US and Canada.